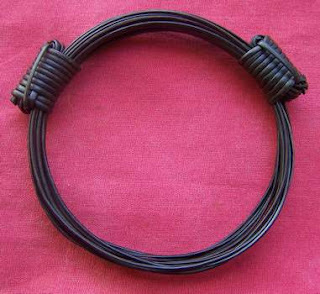 This is based on the Elephant Hair bracelet, worn by the Masai warriors of Kenya (see below). Someone told me that traditionally they are allowed to wear one only after they have killed a lion. So if you feel like you kill a lion every day, this is definitely for you!